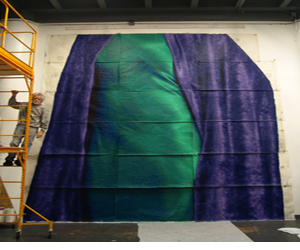 We aim to provide the easiest and best way to showcase art from all over the world, both publically and privately. If you'd like to feature certain artwork we would love to hear from you. 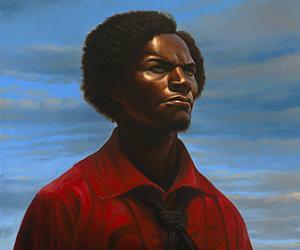 Kadir Nelson’s vibrant and striking oil images have brought to life the pages of contemporary children’s biographies of African American heroes such as Louis Armstrong, Frederick Douglass and Jackie Robinson..
Join us for the unveiling of Artovation, the Sankofa Fine Art Plus community mural arts project featuring the mural of Ruby Dee created by nationally renowned muralist Kent Twitchell. 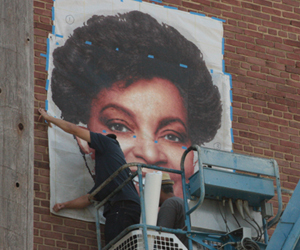 Cleveland artists led by nationally renowned muralist Kent Twitchell have been busy all week creating and installing a mural to honor one of Karamu House’s most successful alumnus, Ruby Dee. Sankofa Fine Art Plus develops and advocates for ethnic artists and presents ethnic art as a credible and meaningful art form through community education and collaboration. It is our goal to increase community awareness and appreciation of the rich history and tradition of “fine ethnic art” by creating opportunities that will support emerging and aspiring ethnic artists. © Sankofa Fine Art Plus. All Rights Reserved.